It's called Mortlach and is known as the best kept secret of Scotland. It's a beast spawned from a vertically challenged witch! No, it's true! This isn't Game of Thrones, a Tolkien movie or a Harry Potter novel, this is pure Scottish reality. This is probably the best whisky I have ever tasted. Photography by Mathias Roelants. 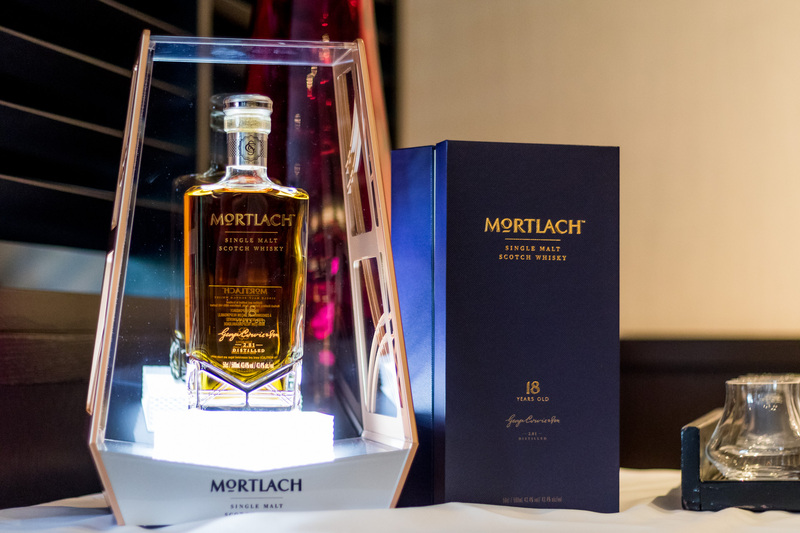 Mortlach, I love the name. If you put an umlaut on it you have something that sounds like the loudest rockband on earth: Mörtlach! I can see the T-shirts already. Wondering where the name came from I conducted some etymological research (i.e. I Googled it) and apparently it is the old name of what is now officially known as Dufftown. Seriously, from Mortlach to Dufftown? Town of Duff? James Duff, Earl of Fife… Very modest of you James. The Beast is in Belgium now. Why is it called “Scotland’s Best Kept Secret“? Because, until now, you couldn’t lay your hands on a single bottle. Except for the very rare exceptions, which were plundered immediately by those vultures called ‘collectors‘. As we speak there must exist quite a number of unopened old Mortlach bottles! Every bottle of Mortlach left unopened is a living disgrace! I hope Wee Witchie curses you all! 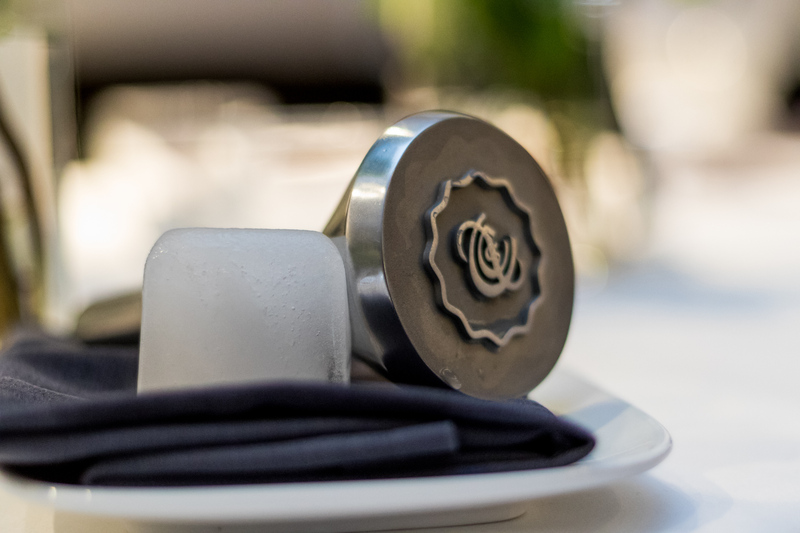 Mortlach ice stamp, very cool. Wee Witchie is actually the name of the column in which the whisky is distilled. Named aptly because it’s there where the magic happens. 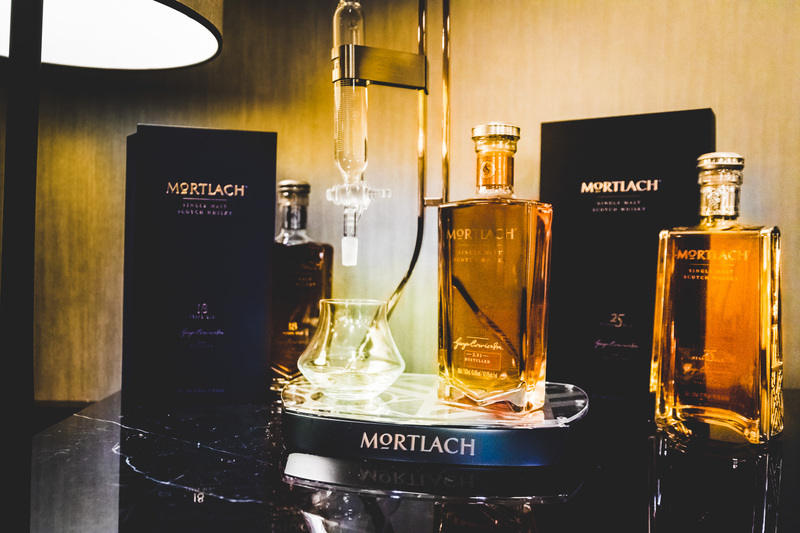 Mortlach has a very unique 2,81 distillation method, meaning it is distilled more than 2 times, but less than 3 times. I’ll spare you the details. It’s the Witch that gives it its unique taste, that striking balance between extremes. Sweet and dry, raw and soft, a complex magic between malt, meat and fruit. First the beast hits you and then it puts a spell on you, which remains forever. Almost like Keats’ “La belle dame sans merci”. Georgie Bell holding a Beast. Speaking about “Belles“, the Mortlach Brand Ambassador deserves a fair mention too. Georgie Bell is probably the most perfect brand ambassador to spread the word of the Beast and the person responsible electing her for this position deserves an HR medal. When this passionate lady starts her story about beasts and witches, you become like children glued to her lips, hearing an awesome fairy tale. And then, when you taste the Mortlach for the first time, you lean back and say: “My God, it’s true”. The Beast Of Dufftown is now also available in Belgium. It comes in 3 forms: Rare Old, 18 Years Old and 25 Years Old. We prefer the raw finesse of the Rare Old, but only if we were forced to choose. And remember, when you buy a bottle don’t let it sit in your cabinet gathering dust, but share it with your loved ones and best of friends having a magical evening. Previous Post Flemish Food Bash is World’s Best Restaurant & Cocktailbar, but only for 1 day.